A stricture, also less widely known as a constriction, is a type of abnormal narrowing in a passage in the body. The term is generally used for many types of narrowing, but a stricture is typically formed in an area of muscle that contracts over time and narrows a passageway, rather than other types of narrowing. The narrowing of a stricture can be annoying or life-threatening. It can make it difficult to urinate, eat or even digest food, depending upon the location of the stricture. A stricture can be caused by scarring after surgery, by treatments such as radiation, or they can happen spontaneously. A person may be born with a stricture that must be treated, or they may develop over time for no clear reason. Some strictures can be treated and return, over and over, such as an esophageal stricture. This type of stricture narrows the tube that carries food from the mouth to the stomach and can cause food to lodge in the esophagus, resulting in coughing, gagging, pain and, in rare cases, food becoming stuck in the esophagus. 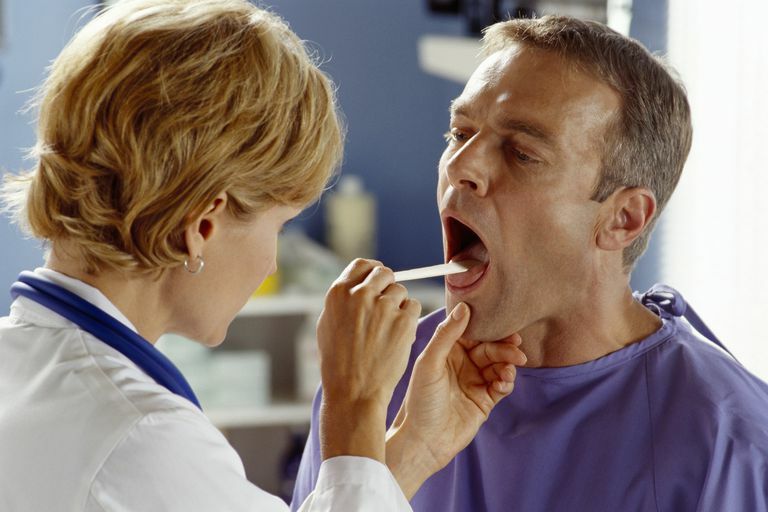 A physician can dilate the esophagus, widening the passage so that food travels through more easily. The stricture can return over time, especially if the cause of the stricture isn't taken care of, and the person will start to have trouble swallowing foods that are very solid, such as chunks of meat or bread. In most cases, untreated reflux (acid indigestion, heartburn) does this type of damage and the procedure must be repeated. The most common type of strictures are esophageal strictures, which was already mentioned, and urethral strictures (the tube that carries urine from the bladder and out of the body) that can make it very difficult to urinate. Intestinal strictures happen in the small and large intestine, and depending upon the severity of the stricture can make it difficult for food or even fluids to pass through the body. A stricture in the large intestine is also known as a bowel stricture. A stricture in the bile duct, known as a biliary stricture, is a narrowing in the tube that moves bile from the liver to the intestine. A stricture in this area prevents the free movement of bile and may also cause significant pain and/or difficulty eating and digesting food. Treatments for strictures vary widely. In some cases, dilation of the narrowed passage can be done on an outpatient basis, essentially in cases where stretching the tissue is adequate, rather than removing the narrowed area. For more severe cases, surgery is typically necessary to remove the area of narrowing, and to hopefully prevent the need for future procedures to treat the same area.